More fun with plush food. I was working at the farmers market a few years back around the fourth and came up with this recipe. They had the best fresh goat cheese their, and the MT Hood Oregon strawberries are some of the best in the world. And the local grocery made awesome shortbread biscuits. So I kind of through these all together for my Fourth of July dessert tradition. 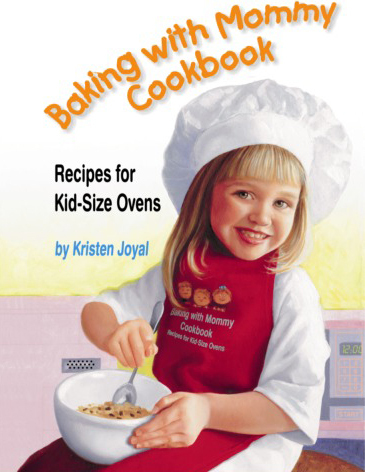 In a large mixing bowl, combine flour, baking powder, salt and 5 tablespoons of sugar. Cut in butter. Then mix in half-and-half (or cream). Drop by large spoonfuls onto a baking sheet. Brush with melted butter and sprinkle with 1 tablespoon or more of sugar. Bake for 15 minutes or until brown. Cool and top with fresh cut strawberries, some fresh soft goat or sheep cheese, and top with a drizzle of good balsamic vinegar, and maple syrup mixture. garnish with a mint leaf. I was helping some one move the other day, and in the stuff to get rid of was a new easy-bake oven. I never had one before, so I asked if I could have it. It is a newer looking model like the picture here, and not the retro mini oven that I remember from the commercials as a kid. There is definitely a little girl vibe to the thing which has a lot of pink utensils. 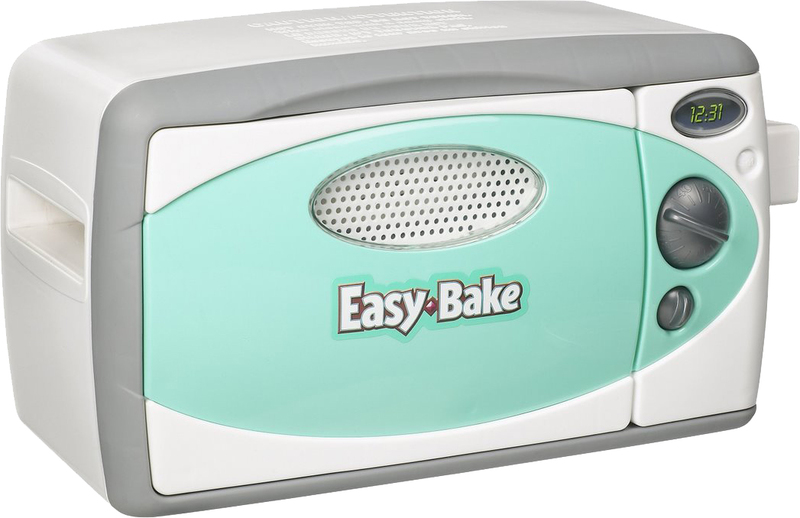 With all of the cooking hype to be a TV chef theses days from Top Chef to food network shows, I could see little boys getting into the easy bake too. There is a whole line of packaged mixes for the oven. I tried the chocolate cookies mix and they were…um…kind of weird tasting. But doing a little research I found a bunch of from scratch recipes. King Arthur Flour did a test of the oven, and found that it provides a consistent temp of 347 degrees. The heat source is a 100 watt light bulb. So basically, you can use just about any cookie, cake, or brownie recipe, even mini pizzas and use the oven. The limitation of course is that you have to use the mini baking pans that fit the oven. King Arthur figures about a 1/4 cup of batter can fit in the little pan. I have seen a recipe that uses 3 TBS of any packaged cake mix with 1 TBS of milk as a standard. The EBO Gourmet is a collection of recipes from famous chefs from Rick Bayles to Bobby Flay. It seems like a book for adults fans of the EBO. I plan to bring my easy bake to pot lucks as a kid crowd pleaser. And if possible, and I can get a few more ovens (anyone in Ann Arbor with a working EBO they want to donate? ), I plan to offer a class locally on cooking with an EBO. 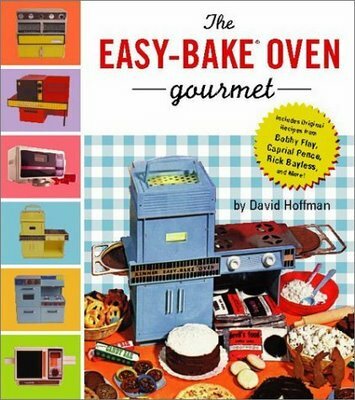 Feel free to share any easy bake oven stories. Here is a quick update on HB 5837, the cottage food bill. This Bill just passed the Michigan House with a huge major, 95% with no votes against. See the vote. This is not the last stage in the process. Like all bills the process is to propose the bill. Then work on it in committee, then the house votes on it, then the senate votes on it, “Them Da gov-nah signs it.” We are at the process with it passing the house. It still needs to pass the senate, which I feel it has a good chance considering how easy it passed the house on both sides of the political fence. I usually put all of this in the event section but I wanted to provide a posting on the home page. I seemed to be really busy with a few food related project, so I thought I would provide a quick update for those following again. We are coming into our third week at the Westside Farmers Market located at the Zingermans Roadhouse, on Thursday from 3:00-7:00 pm at summer. I will there with my microgreens. This weeks offerings will be Pea Shoots and Adzuki Bean Shoots. Jeff from IT’S HOT IN HERE/ ARBORAMA radio show at WCBN interviewed me about the Sugar Beet Project. You can here it tomorrow live, or download the podcast. There are 8 people growing sugar beets for the project this year. Hopefully our success with growing and making sugar will inspire more growers and makers next season. It is hitting about the latest one can get seed in the ground. There will be a fund raiser dinner on July 17th hosted by Tammy Coxen of TT Super Club to support the Ann Arbor Sugar Beet Project. The money will go towards getting a centrifuge to process brown sugar into white. The cost is a minimum donation of $55 per person. Email me at chefbrian1@yahoo.com or Tammy at ttsupperclub@gmail.com Tammy’s menus are fresh, locally sourced, and awesome. Seats go fast, so sign up quick. You can also sign up for a seat at my booth at the farmers market. I am pretty busy these days, but one is never too busy to do a little protest’n. I watch the new daily, and I am outraged by the gulf spill. Ann Arbor is flush with BP stations, and I shake my head when I still see people getting there gas there. So when i have the time, usually a few hours on the weekend, I am holding up a Boycott BP in front of an Ann Arbor BP Station. And I encourage others to make signs and join the protest. I will even let you use my paints. BP has a 9 billion dollar contracts with the US military, so pressure through a BP Boycott at the pump may seem small, but it does send a message. And that message is that US citizen are not on the oil companies side. This can help mustard up the political will to get our elected officials to suspend our gov’t contracts. I was downtown on Saturday with my sign positioned outside of the peoples food co-op. There was a festival going on on that block, and the farmers market, so the foot traffic was high. I had only good responses. Unlike before where a person said, “If we boycott they cannot pay for the spill.” Last week BP spent 50 million on TV ads to spin their image, and 10 billion to pay out dividends to share holder as a bribe to prevent a massive sell off, and share holder lawsuits. I still see people driving into BP station in this town like robots. The stations are everywhere, so I get it is all about convenience. Maybe they do not watch the news, or they do not connect with the place they by gas, and the people who caused the worse environmental disaster in US history. Most of the money BP makes is not at the pump. The have big institution contracts with our military to supply jet fuel. Will that fact make our gov’t cave, and not go for disembarment, a process of basically kicking out a corporation from doing business in the US, and receiving gov’t contracts? Who knows. Between the grossly inflated gas prices under Bush, and the hugh demand to feed our wars (which are in part oil related), the oil companies have made record profits in the last few years. Part of those profit went to an army of lobbyists who created a “cozy relationship” to deregulate the industry for safety. In other words to drill deeper without spending money on clean up technology. The result is that we have ruined the coastline of at least four of our states, and set the stage for huge dead zones in the ocean. Not to mention the fall out of people getting sick. Will BP pay. Not if they do not have too. Their share holder got 10 billion this year, but it will remain to be seen how much BP will pay. As little as possible I figure because companies are about the bottom line not social responsibility. Today was the season opening of the Westside Farmers Market in Ann Arbor. If you were there, you might have seen me selling some microgreens. I was one of the only people without a tent because mine is on back order. But the weather held up, and it ended up being a great day at the market. There were more vendor this year I am told. I found a great mix vendors selling everything from beef and pork, veggies, fruit, egg, cheese, and specialty items like soup, flowers, crafts, wool/fleece, baked goods, grains, and plant starts. For those who have never been to the Westside Farmers Market, 3:00-7:00PM at the zingermans Road house parking lot…Go. It is a great market.